While many homes rely on their water heaters and boilers on a daily basis, if you have a Navien tankless water heater or combination boiler it is critical that you are made aware of a recent recall affecting these units due to a risk of carbon monoxide poisoning. If you own a water heater or boiler distributed by Navien Inc. of Irvine California, here is what you need to know about this recall. Navien issued a recall on December 20, 2018, of their condensing tankless water heaters and combination boilers due to the fact that a kit installed on these units to convert them from natural gas to propane can cause the units to produce excessive amounts of carbon monoxide, posing a dangerous risk to consumers of carbon monoxide poisoning. This appears to be a voluntary recall on behalf of the manufacturer as no incidents or injuries have been reported as a result of this issue. 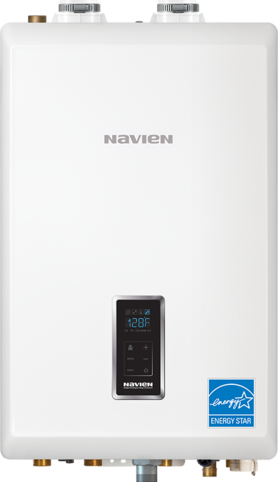 This recall affects Navien condensing tankless water heaters with model numbers NPE-1800A and NPE-180S as well as combination boilers with the model number NCB-180E that have been converted from natural gas to propane gas. These units were manufactured and sold between July and October 2018 by installers nationwide for between $1,700 and $3,800. If you believe that yours is one of the units affected by this recall, then it is critical that you stop using it immediately and contact Navien for a free replacement conversion kit. The threat of carbon monoxide poisoning makes it important that you do not attempt to continue using these appliances until they are repaired. While recalls usually require homeowners to go through the manufacturer for repairs, feel free to contact us with any other appliance repair needs you may have now or in the future.